In a warehouse located outside of Budapest, two Russian arms dealers guided around their prospective buyers, Mexican drug cartel men, for the last time. The weapons that were presented mostly came from the Hungarian Defense Forces and the intention what to use them for was very clear. The cartel’s men approached the Russians because, as they later told them, “here in Mexico, we have really big issues with helicopters, with American helicopters… bothering us with the trafficking.” They needed the weapons to defend their cocaine loads mostly smuggled through Arizona to New York. They did not only need to defend it from rival gangs, but also from well-armed authorities of the United States. It seemed that after long negotiations, on November 9, 2016, the deal would finally go through. The cartel’s men left the weapons warehouse satisfied. They saw all the goods, including Kalashnikov rifles and Scorpio submachine guns, machine guns, and various anti-tank, air-to-air and air-to-surface missiles. The two Russian sellers had been living in Hungary for years and had the same name: the Vladimir Lyubishins were father and son. The Russians were bracing for a celebration that evening because they thought the deal had been secured. They would not only become regular arms suppliers of the cartel but were hoping that soon they themselves could sell multiple tons of cocaine in Europe. In the end, nothing came from it, and the Lyubishins spent the night behind bars, instead of in a bar drinking vodka. The Lyubishins were apprehended by the Hungarian Counter Terrorism Centre (TEK) in a coordinated international operation named ‘Perseus’, under the command of the US Drug Enforcement Administration (DEA). The Americans used surveillance and paid informants to set a trap for the Lyubishins. The capture of the Lyubishins two years ago in Hungary and the covert operation leading to it was kept secret by Hungarian and US authorities – neither of them made it public. The ‘Perseus’ operation and the Hungarian connection was only mentioned briefly in Montenegrin papers when they wrote about the arrest of the Lyubishins’ local associate. The story of the two Russians did not end with the raids of the counter-terrorism unit, in fact the most interesting twist came only after the arrests. The Russian arms dealers were captured, but thanks to the Hungarian government they were able to escape American justice. Hungary, a year and a half after the Lyubishins’ capture, instead of complying with the NATO ally United States’ extradition request, extradited the Russian arms dealers to Moscow. A diplomatic source commented to Direkt36 that this incident sends a message to every NATO ally: one can not only not believe the Hungarians, one should not even trust them at all. Direkt36 managed to uncover the story of the Russian arms dealers selling the scrapped stock of the Hungarian Defense Forces in a months-long investigation. During our work, we relied on background conversations with business partners of the Lyubishins, arms traders, government and diplomatic sources, as well as company registry papers and US court documents. For example, we obtained a court document in which a DEA special agent describes the investigation based on surveillance information and on which the US arrest warrant was issued for Lyubishin and his son. According to Róbert Fridman, the Hungarian lawyer for the Lyubishins, the Russians are currently in pre-trial detention in a Moscow prison. Fridman claims his clients did not know that their customers wanted to buy the weapons for a Mexican drug cartel and they thought that the business was completely legit. They believe their case is just another example of ‘the worldwide persecution of Russians.’ A significant part of the US court documents against the Lyubishins are still sealed, and the US authorities did not respond to our questions. The Hungarian Ministry of Justice said in a brief statement that they took into account the Lyubishins’ nationality when they made the decision about their extradition to Moscow. James: -I met a man doing weapons business. He asked if your Mexican group can make exchange weapons and detergent. Cartel: -I’m unsure what you mean. James: -Cola. Coca amigo coca. The message exchange took place between Turkish citizen Hamit Nasirlioglu, calling himself James, and a member of the Mexican drug cartel in the spring of 2016, according to US court records. On his photos on social media, the now-forty-year-old Nasirlioglu gives the impression of an affluent man, wearing his hair slicked back, wearing sunglasses and light shirts. Officially, he is the CEO of his family’s company that deals with everything from shipping to the defense industry. 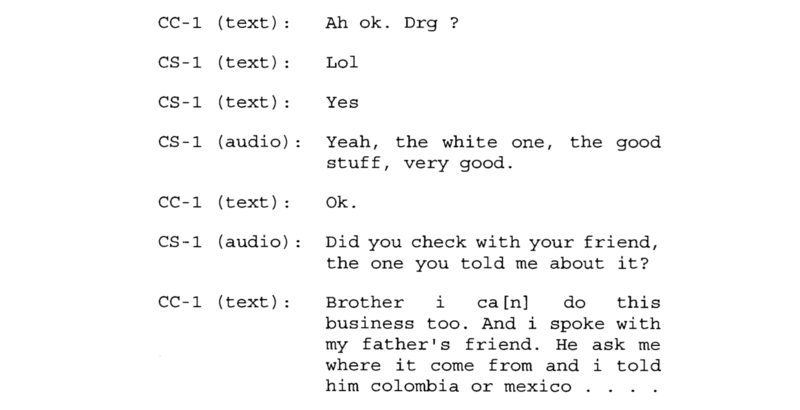 Recorded conversations suggest he was also a weapons smuggler. Nasirlioglu was approached through an associate by a man introducing himself as a representative of a drug cartel in autumn 2015. The man said that his clients seek to acquire military-grade weapons. He sent a message with a list of what they have been looking for through a cellphone app: assault rifles, RPG grenade launchers, hand grenades, anti-tank missiles, that is, military weapons. “Without weapons it’s fucked, transporters would be attacked from the government or attacked from the gangsters,” the cartel men later explained to Nasirlioglu their need for such weapons. The Mexican drug war began with the deployment of the military in 2006, and drug cartels have been fighting back with similar military-grade weapons. More than 200 thousand people have been killed and 30 thousand have disappeared in the drug war. Cartel: -We have this month a big shipment coming to Europe. The product is from Colombia and Mexico. Cartel: -Lol. Yes. Yeah, the white one, the good stuff, very good. Cartel: -Did you check with your friend, the one you told me about it? James: -Brother l can do this business too. And I spoke with my father’s friend. He asked me where it comes from and I told him Colombia or Mexico. Vladimir Vyacheslavovich Lyubishin, who is now in his sixties, came to Hungary with his wife in the mid-1990s, and has had a Budapest home address at least since 1999. The family was well-off in the 2000s: their son, Vladimir Vladimirovich Lyubishin, born in 1984, went to a private school in Budapest, then to university in London. Lyubishin Jr. has gained experience in business development and financial management, but, according to Atlatszo.hu, he also worked in hospitality and tourism in St. Petersburg. He was brought into the arms business by his own father and lived in Hungary during the time of their capture. Between the end of 2015 and summer of 2016, the Turk met with the prospective buyers multiple times. Then in June 2016, Vladimir Lyubishin and his son also joined them in a meeting in Cyprus. They sent several weapons catalogues electronically. 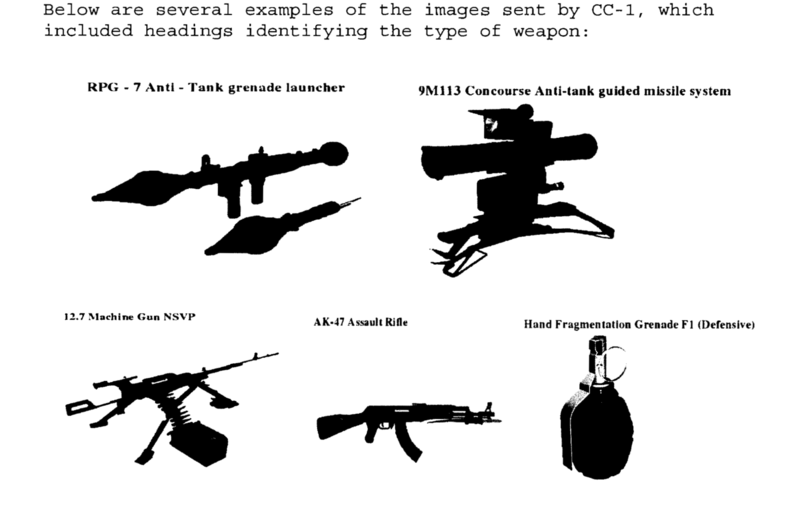 The catalogues included durable, largely Soviet-made weapons ideal for irregular armies: grenade launchers, anti-tank guns that can be installed in armored vehicles, heavy machine guns, assault rifles, hand grenades, anti-aircraft machine guns and other anti-aircraft cannons. Although the locations of the meetings between the Turk, the Russians and the cartel are retracted and codenamed in court documents, according to the research conducted by Diretk36, several meetings took place in Hungary. When Lyubishin Jr. mentions during a recorded message exchange that “we have a company,” he spoke of a Hungarian firm. The Lyubishins planned to execute their business with the cartel through that Hungarian company. Envoys of the Mexican drug cartel arrived in Budapest for the first time on August 2, 2016. Budapest is mentioned by the codename ‘CITY-1’ in court documents. “We have a base here,” said Lyubishin Jr. at that meeting, then gave the buyers his business card with the name and address of a company. This company was Pilis Defense Systems Ltd. The company, founded and controlled by Hungarians, has been operating since 2010. Originally, it was a hunting gear store in the city of Pilisvörösvár, north of Budapest, selling antique and hunting weapons – and Russians had nothing to do with it. In 2011, the company was bought by then-20-year-old András Tamás Gyarmati when he returned home from studying in England and wanted to start doing business. According to Hungarian regulations, one needs the exact same type of licenses for running a hunting store as for trading weapons internationally – where the real money is. The company, initially called Pilis Vadászbolt Ltd. (Pilis Hunting Store) was later renamed to Pilis Defence Systems (PDS). “The Lyubishins knocked on my door in 2012. First they brought me a business, then another one, then a bigger one – and then the whole business tanked,” Gyarmati said about his relationship with the Russians. At first, the Russians were just salespeople in the company and they got their own business cards to create more confidence in buyers. After bringing more and more potential customers, Lyubishin Jr. became a co-CEO of the company in late 2015. The weapons that PDS traded largely came from the Hungarian Defense Forces. They bought them through so-called military surplus trade procedures of HM EI Co. Ltd., a company owned by Hungary’s Ministry of Defence (MoD). The state-owned military company started selling “military surplus items that are retired from further use at the Hungarian Defense Forces” in large quantities in 2012. Thus, PDS acquired, among others, 1,300 air-to-surface missiles, hundreds of air-to-air missiles, helicopter rockets, anti-aircraft missiles, and dozens of aircraft and helicopter cannons and machine guns. Between 2012 and 2014, PDS competed and won in multiple tenders as a buyer of Hungarian military equipment. 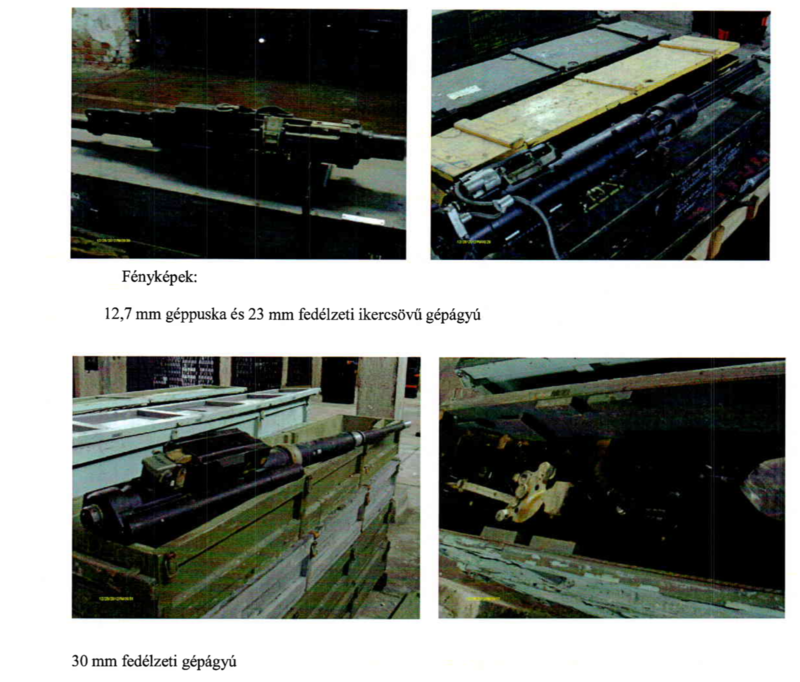 Weapons sold by HM EI Ltd., a Hungarian MoD owned company to Pilis Defence Systems Ltd. Photos were taken in one of the warehouses of the Hungarian Defense Forces. Excerpt from a weapons contract. It all became a political issue in Hungary in the end of 2015. A small Hungarian opposition party, Dialogue, published the contracts of weapons deals between PDS and the Hungarian state-owned company. The Dialogue claimed that PDS is making a huge profit by re-selling the weapons that they had originally bought for only a few million forints (few tens of thousands of dollars). Moreover, they warned that these weapons may end up in the hands of “dictators and terrorist organizations.” Gyarmati, talking with Direkt36, dismissed that accusation as sensationalism and suspected the revenge of one of his former business associates. Minister István Simicskó, head of the MoD at that time, also defended PDS’s contracts against the opposition’s criticism in 2015. Only eight months after the political controversy, delegates from the Mexican cartel arrived in Budapest and sat down with the Lyubishins for negotiations in the Intercontinental Budapest Hotel. They wanted to buy anti-aircraft weapons in addition to machine guns. As they said, helicopters were disturbing their operations in Colombia, where the coca plantations are, and on the Mexican-American border as well. Eventually, they agreed that the drug cartel would pay $1.5 million in advance to the Hungarian company for the first shipment and for covering organization and logistics costs. The first container would have consisted of different types of machine guns and anti-aircraft guns that can be mounted on trucks or pickups. 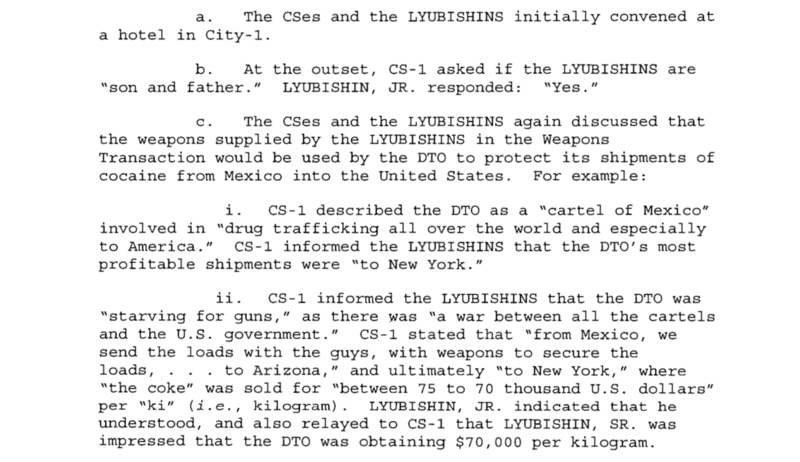 In addition, Lyubishin also undertook that PDS could pre-order two thousand hand grenades, five hundred RPGs and thirty Dragunov sniper rifles if the cartel requests it. International arms sales may only be carried out by identifying the end user of weapons with a so-called end-user certificate. 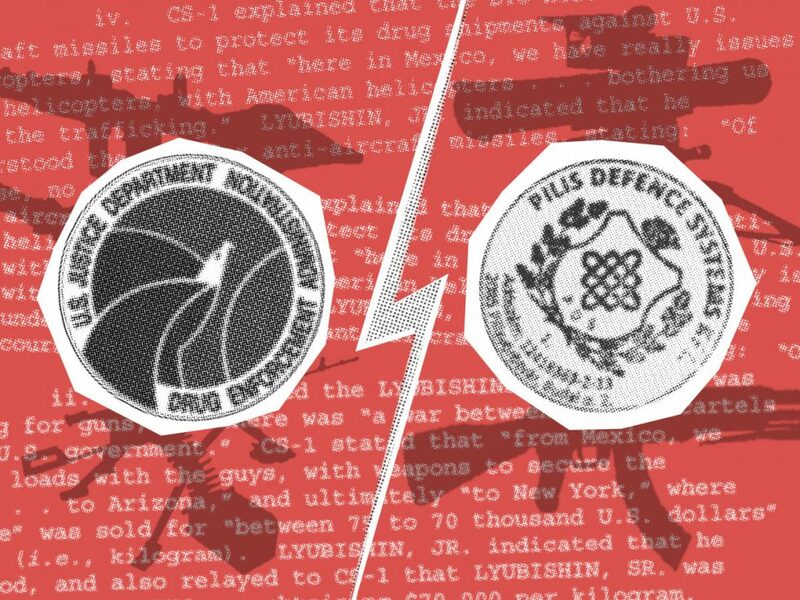 According to US investigators, Lyubishins’ plan to make the illegal sale appear legitimate was to sell the weapons with a false end-user certificate to a military company operating in a Central American country. This offshore company and its warehouses, however, were also tied to the Lyubishins. Thereby the real buyers, the cartel would be able to pick up the goods from those warehouses. The Russians wanted to become regular weapons suppliers of the cartel, and in a written preliminary agreement they mentioned “future deliveries and cooperation.” During their meeting in Budapest, they also talked about various methods of trafficking drug, for example, how to get cocaine into United States by air. Lyubishin Sr., sensing another business opportunity, at one pointed turned to his son and said in Russian: “a helicopter will cost about a million and it will take between 200 to 300 kilograms!” During message exchanges and meetings, the Turk and the Russians both implied they would trade weapons for cocaine. After the Lyubishins learned that the cartel could sell a kilo for $70,000-75,000 in New York, the Russians repeatedly indicated that they would be eager to become European distributors of multiple tons of Colombian and Mexican cocaine. When members of the cartel arrived on their second trip to Budapest on August 19, 2016, the Lyubishins took them to the warehouses in Tököl and Szigetszentmiklós (outside of Budapest) so that they could see the goods with their own eyes. Weapons exhibitions have their own choreography, a Hungarian arms dealer explained to us. “This is the time when you have to impress everyone. You can’t arrive to the exhibition with a car worse than a BMW X6. The more gangster you look, the more KGB you look, the closer you are to Vladimir Putin, the better,” said our source. The cartel men were impressed with the Scorpion submachine guns the most. These did not come from Hungary, the company imported them from outside the EU and had 50-60 samples in the warehouse. 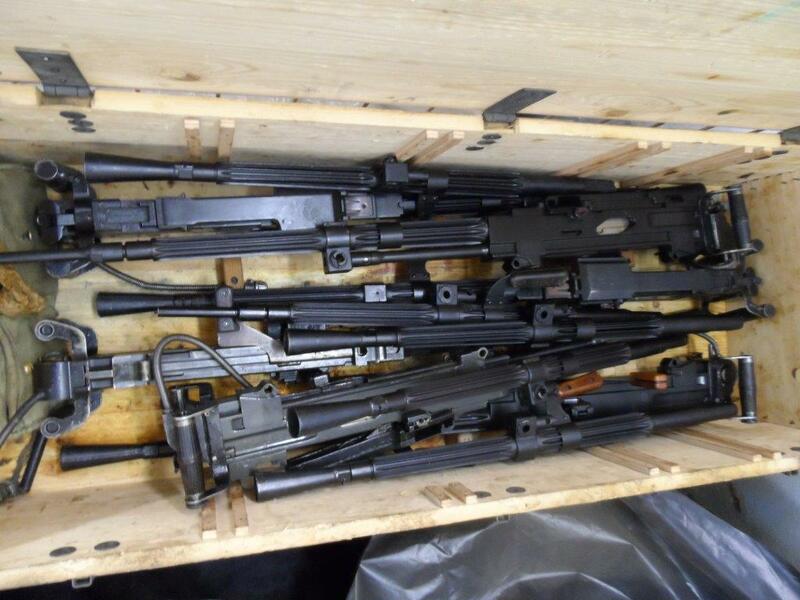 Finally, after examining the weapons, they agreed on a shipment of more than 5,000 machine guns worth $2million. The Lyubishins provided the buyers with an invoice on behalf of PDS and agreed to have the money transferred to the Hungarian company’s bank account. Some of the buyers, looking like stereotypical Latin Americans, introduced themselves to the Hungarian employees of PDS as Colombians. There were three of them, and they took photos of the weapons arsenal in the warehouse. A court document illustrated with low-quality, black and white photos show what the prospective buyers could see in the warehous. In one of the photos, two experts asked by Direkt36 identified a Kalashnikov PK machine gun and a NSV heavy machine gun. We uploaded another better quality photo of rockets to a discussion website on military-related topics. Users of the site instantly identified the rockets as Soviet-made H-25 air-to-surface missiles. 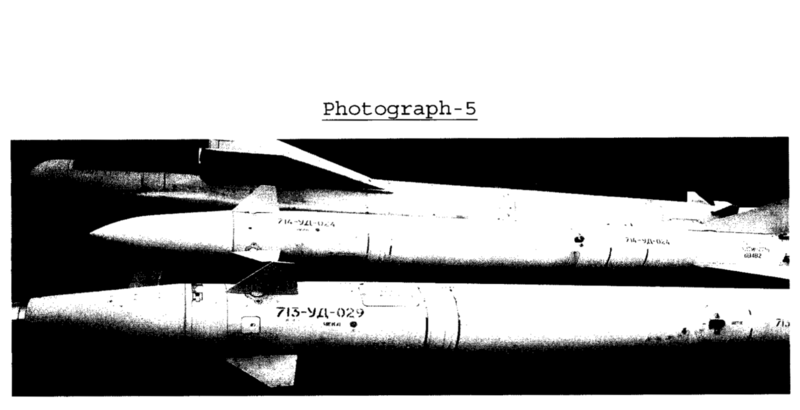 Previously, PDS purchased such training rockets from the Hungarian MoD. Lyubishin Jr. stayed in contact with the Latin Americans after the meeting. They exchanged multiple messages and talked on the phone a few times during the next months. ‘White missiles’ seen in the warehouse were added to their original weapons deal. The cartel men then started showing interest in anti-aircraft missiles too. 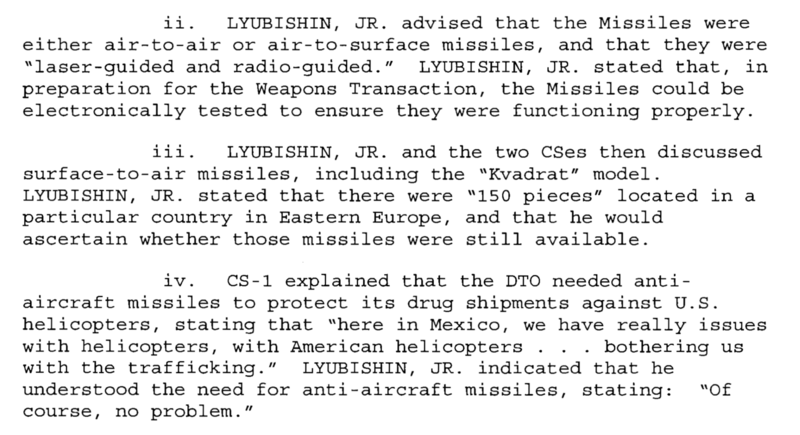 Lyubishin Jr. immediately told them that there are 150 such missiles in a certain Eastern European country, but he is unsure if those are still available. The Lyubishins did not know that this answer only further deteriorated their own situation. In reality, the entire weapons negotiation was a sting operation of the US Drug Enforcement Administration (DEA). The cartel representatives were actually paid informants, so-called confidential sources, following instructions of the DEA. They designed the course of the negotiations deliberately to find out how far the Lyubishins would go – and dragged them into committing more and more crimes along the way. Meanwhile, Americans had been surveilling all communications since the beginning. The Lyubishins, for example, got involved in committing another crime by signaling their willingness to supply anti-aircraft missiles. In the US, even attempting to acquire such weapons carries a special punishment. Even though the Turkish middleman was suspicious and warned the Russians not to talk to the cartel men, the Lyubishins, seeing the big business opportunity, were impatient. “We are just waiting for you guys, because from our side, everything is ready,” the younger Lyubishin urged the buyers on September 16, 2016. The raid happened during the next visit of the Latin Americans, barely two months later. “Counter-terror units came with loaded MP5 machine guns and were accompanied by at least two vans full of policemen. They told everyone to throw everything away. They pulled people out and ordered them to stand in line in the yard, eight or ten of them,” the owner of PDS, Gyarmati told about the raid that happened two years ago. The masked, black-clad commando of the Counter Terrorism Centre (TEK) smashed the warehouse’s door shortly after the Lyubishins and their Latin American customers had left. The Russians were caught and handcuffed by TEK and the National Bureau of Investigation (NNI) officers already outside of the premise. No Hungarian employees were detained or arrested. Raids and executions of search warrants were conducted in four or five different homes simultaneously – the police visited the Lyubishins’ apartment in Buda and even took the computer of the company’s accountant. In addition to Hungarian counter-terror forces and police officers, American agents also appeared. Hamit Nasirlioglu was apprehended in Podgorica by Montenegrin police the same time. The investigation against the Lyubishins started in the US, but in Hungary only local authorities had the power to take action. TEK and NNI acted on the basis of an American legal assistance request, but no criminal proceedings were initiated against the Lyubishins in Hungary, according to their lawyer, Róbert Fridman. At the warehouse of PDS, police officers seized and packed hundreds of tonnes of military material (that were on lockdown until the spring of 2017 when police left the scene). The investigation of the scene, however, did not end. A few months later, police returned and seized military material again. During the two years since the raid, American agents visited the warehouse in Tököl several times. The owner and manager of PDS told Direkt36 that he received minimal information from Hungarian authorities since neither him, nor any other Hungarians were suspected of any wrongdoing. He found the Latin American buyers shady, he added, but the Russians did not involve him in negotiations with potential business partners, and they seemed ‘not honest’ towards the end of their cooperation with him. Róbert Fridman, however, claimed to Direkt36 that his clients did not know that their customers wanted to buy the weapons for a Mexican drug cartel. According to the lawyer, the Russians were all under the belief that this was a legit deal, the end point of which would be a Nicaraguan company that had all the licenses and permits. 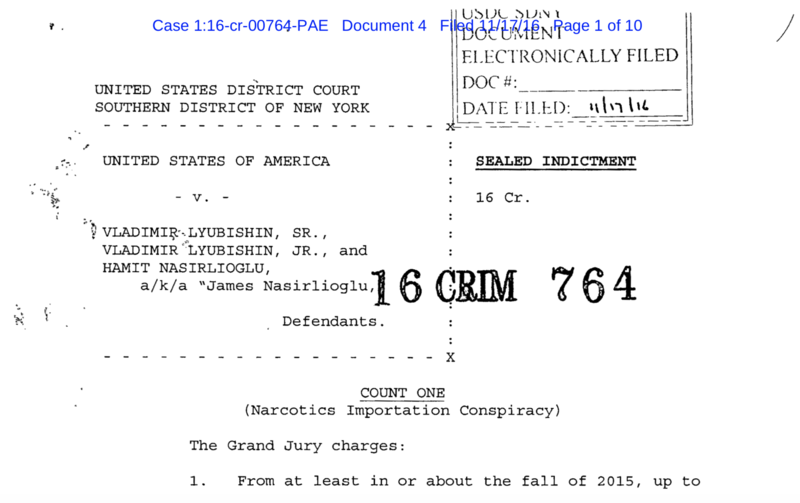 Narcotics importation conspiracy, attempted narcotics importation, conspiracy to aid and abet the possession of firearms, conspiracy to acquire and transfer anti-aircraft missiles – these are the four counts against the Lyubishins resulting from the DEA sting operation. The Russians and the Turk were supposed to stand trial in the Southern District of New York. The US Department of Justice, responsible for handling extradition cases, requested the countries concerned to extradite all three of them. In the case of Nasirlioglu, extradition was completed in March 2017 as neither Montenegro nor Turkey tried to hamper it. He was interrogated by US agents on his flight to New York. The US attorney’s concern proved to be right, and Russia did indeed intervene. The first extradition hearing of the Lyubishins came two days after their capture. According to their lawyer, Róbert Fridman, the judge asked the Lyubishins – which is standard procedure in similar cases – if they agree to their extradition to the US. Since the criminal charges brought against them are punishable by ten million dollars and life imprisonment, the Lyubishins did not waive extradition. Hence it was up to the Hungarian court to decide if the US request should be accepted. The Russians tried to win some time by applying for asylum in Hungary, because no one can be extradited during an ongoing aslyum process. Meanwhile, the Lyubishins were in the Nagy Ignác street prison in Budapest. According to their lawyer, neither Hungarian nor US authorities interrogated the Russians. They only had a hearing related to their asylum application with Hungary’s Constitution Protection Office. Russian diplomats, however, visited them several times. The Lyubishins were still waiting for the decision on their asylum request when Russia also started demanding their extradition from Hungary. Russia brought the exact same charges against them as the US, but sought Lyubishin Sr.’s extradition in an additional case also. Fridman claims that although the Russian embassy in Budapest is eager to help its own citizens, they did not expect Russia to ask too for the Lyubishins’ extradition. They were preparing for an extradition to the US and already selected their US lawyer. Finally, the asylum application was rejected after one year, but the court accepted both the US and Russian extradition requests. In this situation, the Hungarian Ministry of Justice had to have the final word and decide which country’s extradition request should be honored. Instead of the NATO ally US’s extradition request, Hungary’s government approved the Russian claim a year and a half after the Lyubishins’ capture. “Extradition went according to standard procedure, both countries (USA, Russia) requested the extradition of the two individuals, Hungary extradited them according to their country of citizenship. The United States embassy and the US authorities were consulted and informed about them,” Hungary’s Ministry of Justice told Direkt36. On August 10, 2018, Hungarian police escorted the two Lyubishins to board a flight to Moscow. The United States has practically no chance of getting the Lyubishins from Russia. According to their lawyer, the Lyubishins have been in Moscow’s Matrosskaya Tishina prison in pre-trial detention ever since, which was last extended until December 10th. Russia has been very strongly enforcing its interests since a similar extradition case ten years ago, according to a source working in the arms industry. In March 2008, notorious Russian arms dealer and former KGB major – and inspiration for the Nicolas Cage movie ‘Lord of War’ – Victor Bout was arrested in Thailand. Like the Lyubishins, Bout was also apprehended by a DEA sting operation when he believed he was negotiating business with Colombian Communist FARC guerillas. The two-and-a-half-year extradition dispute was won by the US in November 2010, with Russia protesting against the decision. Such a trap is a well-established method not only for American drug investigators, but also for example for the FBI to prevent terrorist attacks. Individuals who pose a risk, as well as their networks can be identified at an early stage with this method. In the case of arms traffickers, DEA uses drug money as a bait, because it is often too difficult to prove by conventional means that they are involved in illegal activities which are destabilizing countries and regions. The DEA, the US Department of Justice and the US Department of State did not respond substantively to Direkt36’s inquiries. They said they can not comment on the investigation or the extradition case. The US Attorney’s Office for the Southern District of New York refused to provide further clarifications. We tried to contact Hamit Nasirlioglu over multiple channels, like through his US lawyer, unsuccessfully. Montenegrin police also did not respond to our inquiries. The extradition to the United States further increased the tension between the US and Hungary whose relations are known to be problematic these days. The US has long criticized the Hungarian government’s steps taken against the Central European University and Hungary’s hindering of Ukraine’s NATO accession. Furthermore, the US is generally worried about the strong ties of Orbán’s government to Putin-led Russia. Under these circumstancesthe Hungarian government decide to extradite the arms dealers not to the United States but to Moscow, causing further friction. According to a Hungarian source familiar with extradition processes of similar political significance, such processes take place on two levels. The investigations are carried out on the level of police authorities and secret services, and from the American side, it is the Embassy of the United States and the FBI doing the work in Budapest. The extradition process is carried out on the level of the government. On the Hungarian side, this is done by the Ministry of the Interior and the Ministry of Justice. “The political decision on extradition will then be made at Budapest, at the highest governmental level,” the source explained. Although it is the Ministry of Justice that officially sanctions the extradition, the decision is made solely within the narrow circles of the Prime Minister. According to Róbert Fridman, the lawyer of the Lyubishins, this case was formally decided by Minister of Justice László Trócsányi. According to a source familiar with the diplomatic background of the case, the American and Hungarian authorities were able to work perfectly well together in the phase of the investigation, as they usually do. The case took a turn when the question of the Lyubishins’ arrest became a political issue. For the Americans, the case of the two Russians was of high importance: during the summer of 2018, former Attorney General Jeff Sessions has repeatedly tried to talk to his Hungarian counterpart regarding the Lyubishins’ case – unsuccessfully. According to the lawyer of the Lyubishins’, his clients felt from the beginning that the case is an example of the persecution of Russians around the world – similarly to Victor Bout or to Konstantin Yaroshenko, arrested in Liberia in 2010 –, and that the United States is unlawfully playing the role of the world’s policeman in these cases. According to the lawyer, Lyubishin Sr. is an arms dealer indeed, but one who trades legally, and his son has only helped him as an interpreter as the father barely speaks English. The extradition of the Lyubishins shocked the Americans, as despite the political differences with the Hungarian government, such conflicts were not typical at the level of defense, national security and law enforcement cooperation. Hungary had previously fulfilled similar extradition requests. For example, on September 1, 2010, two Chinese citizens were arrested in Hungary for trying to obtain radiation-hardened microchips for the Chinese state space research company that was under US arms embargo. On April 1, 2011, their extradition to the United States was carried out without any problems. “The United States requested the extradition of two suspected Russian arms dealers, Vladimir Lyubishin Sr. and Vladimir Lyubishin Jr., pursuant to the U.S.-Hungary Extradition Treaty. Hungary denied the U.S. request and instead extradited the suspects to Russia, where it is unclear whether they will face trial. OROSZ ÁLLAMPOLGÁROK adtak el MAGYAR fegyvereket MEXIKÓIAKNAK. Mi a lófaszt akarnak ez ügyben okoskodni az amerikaiak, meg a magyarországi seggnyalóik? Sandor vagy pal vagy, mindegy is! Viszont a stilusod elgondolkodtat, ki is vagy valojaban??? A cikket valoszinuleg kicsit feluletesen olvastad es nem tunt fel,hogy ezek a gengszterek kabszer-uzletben is gondolkodtak, es ezt M.o-on!!! Nem a hazai jol megfizetett nyomozohatosag, felderito szolgalatok hoztak kepbe a tek-t es a nni-t, hanem az amcsik. A kozep-amerikabol kijovo kabszer egyelore elsosorban amerikaba kerul, de ezt te is jol tudod!!?? Es akkor semmi kozuk az amerikaiknakamerikaiknak ahhoz, hogy hol allitjak oket birosag ele??? Gondold at, legy szives! Koszonom. Great article! Loved reading it and learned so much. Nyugtassatok meg, hogy ezt a sok sületlenséget ugye ti sem hiszitek el!